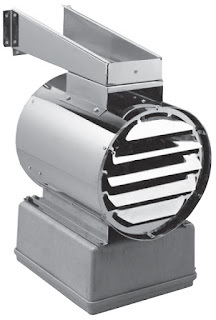 The °Stelpro SWU washdown unit heater is the perfect solution to the problem of comfort heating in non-hazardous environments where moisture and corrosion exist. The washdown heater is corrosion resistant, totally enclosed and water-tight making it ideal for industrial heating applications. Available in several wattages (2 kW to 47 kW) and voltages (120 V, 208 V, 240 V, 480 V and 600 V) this rugged unit will meet your toughest needs.